I do believe that my photo-sorting skills have slowed down a little since the last time I updated my blog as I am slightly struggling in getting my trip post done earlier. Nevertheless while going through my photos from my last adventure, I was talking to Miss Ave T about my next upcoming trip overseas. Why am I dreading it you ask? I know for a fact that everyone out there have their own hellish stories about travelling on planes in the past but I am pretty sure that mine takes the cake. You see, I am going to travel alone in the next two weeks and in all my life, travelling around the world while being alone in the plane never really did work out for me.... read on good people. 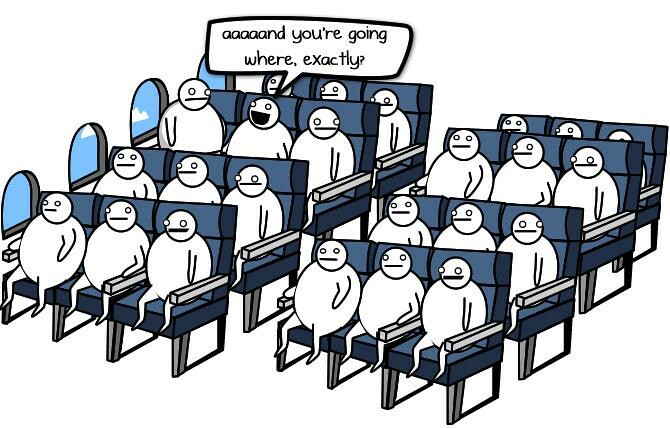 In my years of travelling, I've encountered several incidents in planes that really get on my nerves HOWEVER there are four types that seem to appear at ALL TIMES whenever I travel alone and they take turns to happen in my lifetime. ﻿The worse thing about these people that I meet are actually adults rather than kids! 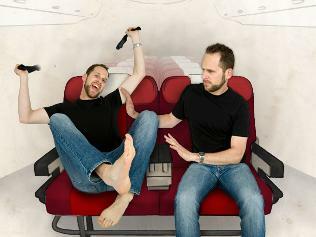 At all times I get my seat on the aisle every flight to avoid disturbing others whenever I want to go to the bathroom. And yet, we have our friend here who just can't seem to enjoy the seat he/she is paying. The toilet breaks, the leg stretching sessions, the "I-can't-seem-to-sleep" syndrome, and even to the end of the flight when the plane haven't even stopped yet, the person is already up to get his/her bags. The Large Family with Kids! ﻿Please don't get me wrong, I love kids. Really I do. But if you bring an orchestra of them with you, who decides to take turns to cry on a 13 hour flight non stop is really a brutal mental torture for you in any flight. 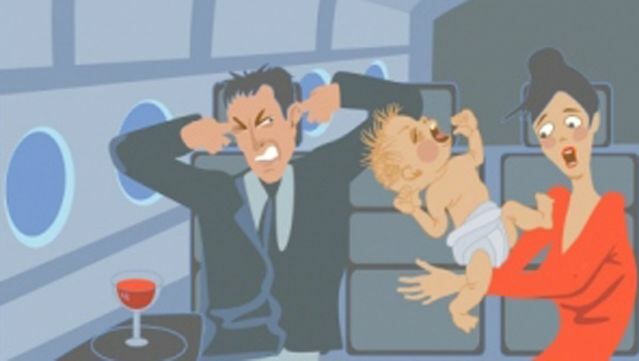 Funny enough this one happens way to often for me and I would have to endure the sight, sound and even sometimes smell of babies and kids crying their lungs out in flights. Fortunately for me over the years I managed to find a solution to this, with the help of noise cancellation earphones + sitting in the back of the plane to counter this situation. 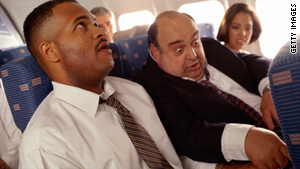 ﻿Again another common situation that happens to me on flights, guys who literral hog the arm rest or even the seat that you are sitting in! Funny how this happened to me in the past, it was a trip back to Malaysia from London when the guys sitting next to me was this huge (I really mean huge) Aussie bloke. He was so big that when he sat down he actually took some part of my sit AND MY SHOULDER with him. The best part of all he has some problems with flying so he decided to pop a couple of sleeping pills and KO'ed throughout the flight, while pinning me on my seat. I stayed there motionless for the entire 13 1/2 hour flight WITHOUT being able to go to the bathroom or even eat my food properly and all that time, enjoying the warthm of his oversize body on mine. When we reached and he decided to wake up, he looked at me, smiled and said "That was a good flight wasn't it". I honestly wonder with great travel bloggers in our country like the beautiful NicoleKiss and the forever travelling Kenny Sia, how in the hell can they manage these kind of people during their trips? Best thing is that I am flying in two weeks time, I WONDER WHICH ONE CAN I GET FOR THIS TRIP? On another note, please do check out the article on a similar topic as well at My Travel Guide Post!